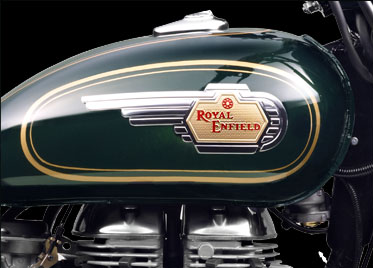 Royal Enfield (RE) has launched another new model, the BULLET 500. 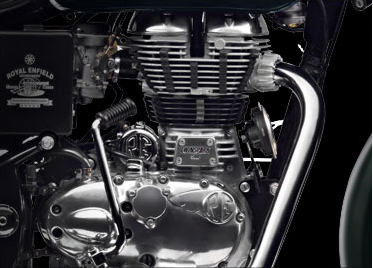 The new Bullet 500 produces 26.1 bhp@5100rpm and a mind blowing torque of 40.9Nm@3800rpm. Now cruise on any road no matter how smooth/rough/steep. No sweat! The new Bullet is priced at 1.53 lakhs ex-showroom price throughout the country. 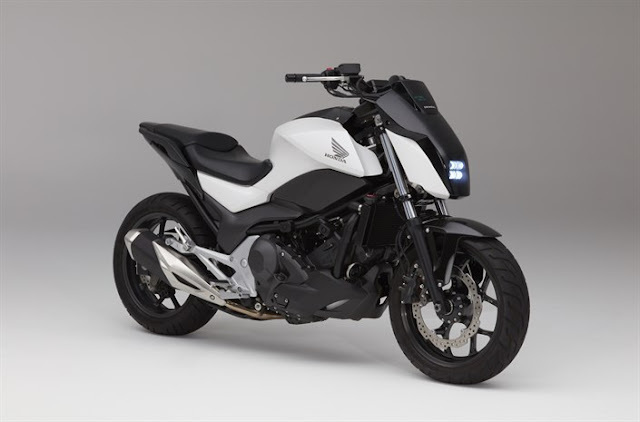 At first the bike will be available in only select locations and after the production takes pace it will be available in all the regions. All the latest bullets now come with Electric start. This one is no exception. 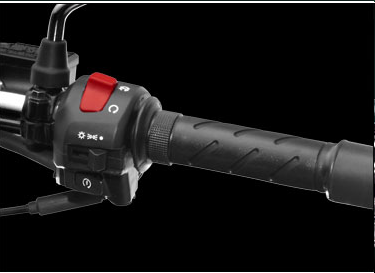 This is a big relief for those new to the RE bikes and also those who do not wish to injure their legs due to the mighty strong kick-back from the engine if you do not properly perform the kick and mind you it really takes a lot for leg-power to start a Bullet!! The pilot lamps adds style and are practical. RE likes to call them as Tiger Eyes. 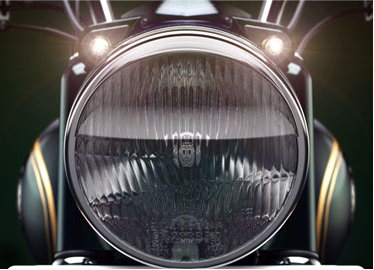 All the electricals in the new Bullet is powered by a 12V DC battery, including the headlamps and pilot-lamps. So you get a stable luminosity and its not depended on the engine revs any more. 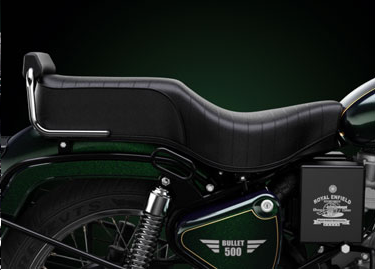 The Bullet 500 gets cushioned pillion grail rail which adds classic style to the look of the bike along with much needed lower-back support for the pillion on the longer rides. This Bullet 500 gets a new and unique silver and gold coloured Royal Enfield Winged Badge. 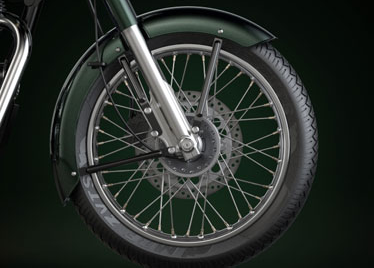 This badge with is new colour-tone suits the Forest Green paint on the bike. More Style to your Bullet! 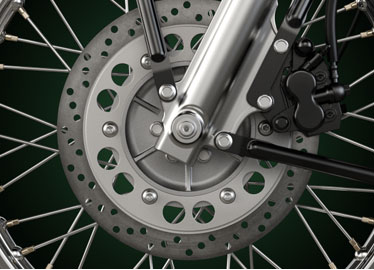 The front disc now comes with 2 piston callipers for more powerful braking. This is essential since you have a mammoth 599cc engine powering the bullet. 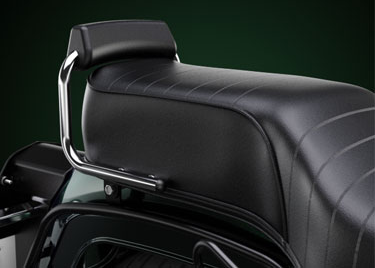 The big traditional seat gives both the rider and the pillion comfort over long rides. 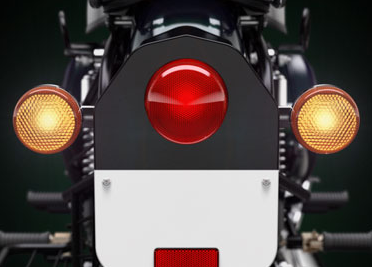 Keep it up with its tradition the new bullet gets a retro-styled vintage tail lamp. And this is both pratical and looks classy! !